This is the outline of a course I teach on radio and podcast production. The students are studying journalism at BA level. They are not specialising in broadcast media, some don’t listen to speech radio much – if at all. Some do not plan a career in traditional journalism. So the 13 or 14 part course is in part an introduction to listening to radio as it is producing radio journalism. The blog here will have fewer installments as part of the course is practical. 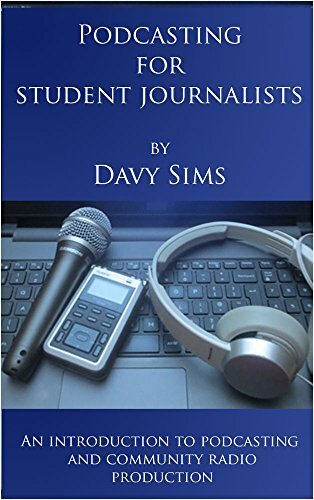 I have identified five skills for this introductory level of production; reading, writing, interviewing, recording and editing. In other parts of the course they learn other journalism skills. In the radio production they learn how to apply those skills to audio. I added podcasting to the module in 2015. Previously it had just been radio. In my view, podcasting is important because it is something the students can do themselves as they are looking for jobs or to expand their skill set. It also gave them the chance to get into the studio early and use the technical skills they had been learning. Print media make podcasts, TV stations make websites, radio stations make video. The demarcations are not as they once were and radio skills will endure throughout their careers. You can find the other sections of this course under the “production course” category and other related information in this blog.